With over 50 boats and 300 participants on the 14th of April in fantastic warm weather and a great night celebrating onshore with spit roast music and award presentations. Congratulations to the race winners who will be sporting prizes of new SailTime Musto sailing gear! 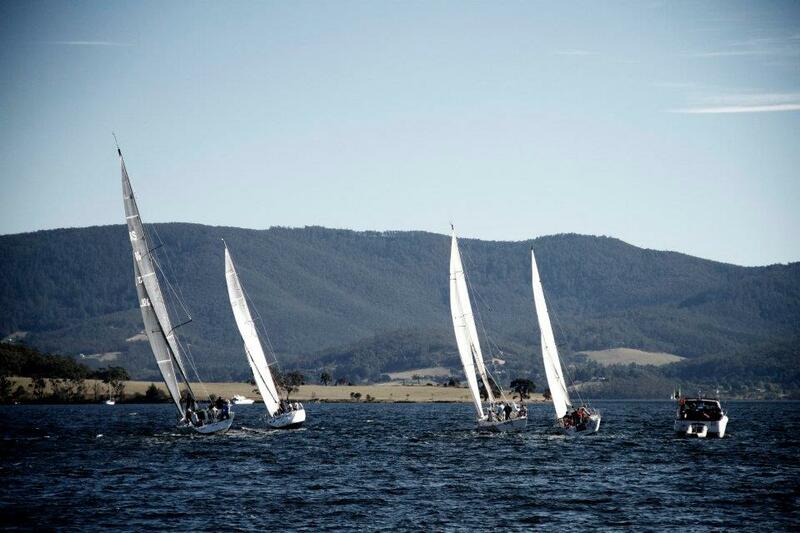 SailTime Hobart Members have been enjoying our great summer and autumn sailing at every opportunity, with trips to Apollo Bay and The Quarries enjoying the picturesque and sheltered waters of the D'Entrecasteaux Channel. Now SailTime Hobart members have the opportunity to enjoy the KBC network of moorings at favorite anchorages throughout the sailing area. SailTime Hobart Midweek member, Laurie, has purchased a new Jeanneau 379 after making the most of SailTime Hobart experiences with SailTime training. Congratulations, the first Jeanneau 379 in Hobart for Boat Sales Tasmania! Great to see the interest in SailTime membership and boat ownership at the 2nd CYCT/KYC Grand Kettering Maritime Marketplace on May 12 2012 – book in for a free TRIAL SAIL to take advantage of our Winter Hobart New Members Special by phoning Jeff on 0428 254 663 or 1300 944 974.